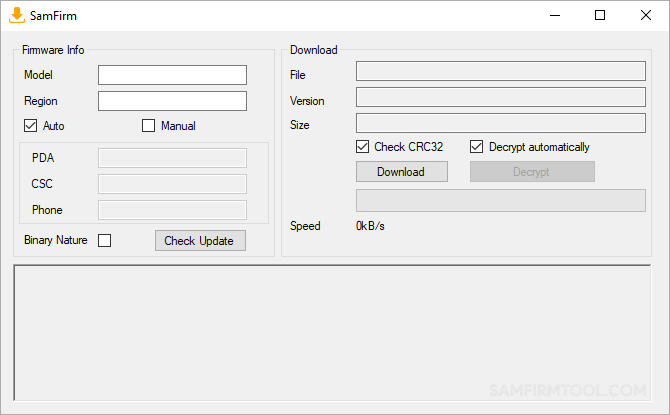 SamFirm is the official Tool which helps you to download the Official Stock Firmware for almost all the Samsung Smartphone and Tablets. Here, on this page we have managed to share the official and tested version of SamFirm Tool i.e SamFirm v0.3.6. [*] Samsung Combination File: If you want to download the Combination File for Samsung Devices, then head over to Samsung Firmware. [*] Caution: Flashing the Stock Firmware can brick the device. So, be very careful in selecting the correct stock firmware of your device. We recommend you to flash the correct or say exact firmware of your device only.